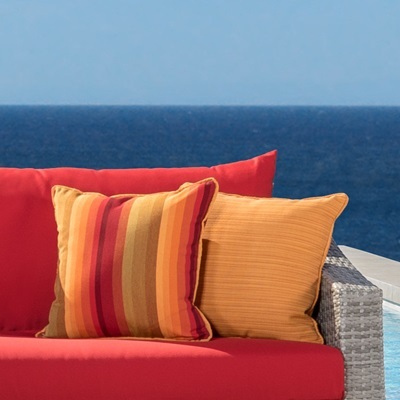 Our Cannes Chaise Lounges offer multiple ways to relax, unwind, and make the most out of your poolside. 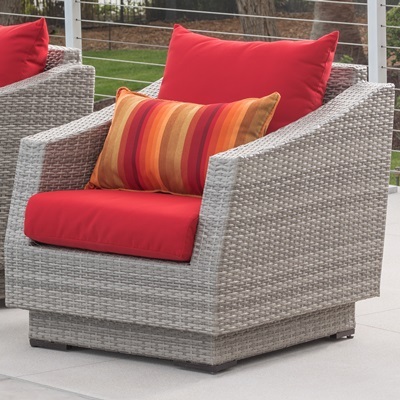 Stackable design, five-way adjustable back rests, integrated wheels for easy transport, and plush cushions constructed from high density layered foam take comfort and function to a whole new level. The hand-woven dual toned Gray weave, distinctive to the Cannes Collection, creates style and class that lasts for years. 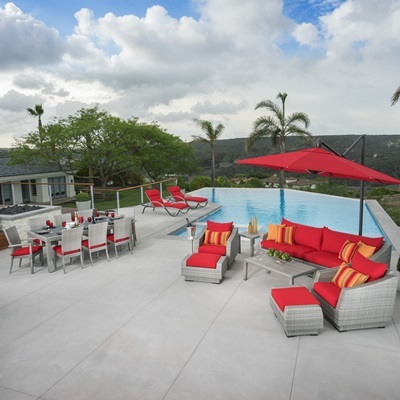 Set includes two chaise lounges equipped with lounger mattresses. 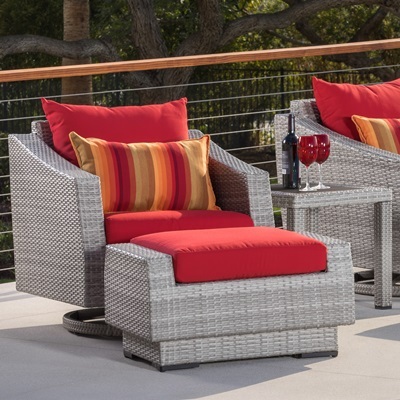 Cushions are covered in Sunbrella® fabric, and include Velcro straps to attach to the frame. Loungers are stackable up to eight units high. Integrated wheels make it easy to transport the lounger to wherever you need it.